Our Fundraisers are How We Help So Many! Scheduled each year in March, this is a fun-filled flashback to days of yore. Red carpet experience with your closest friends! In May, come and see all the delights the Annual Home and Garden Show has to offer. From home repairs to local demonstrations, there's something here for everyone! Each October brings us our Annual Quarter Auction filled with awesome donations from local vendors and businesses auctioned while enjoying an incredible catered dinner! 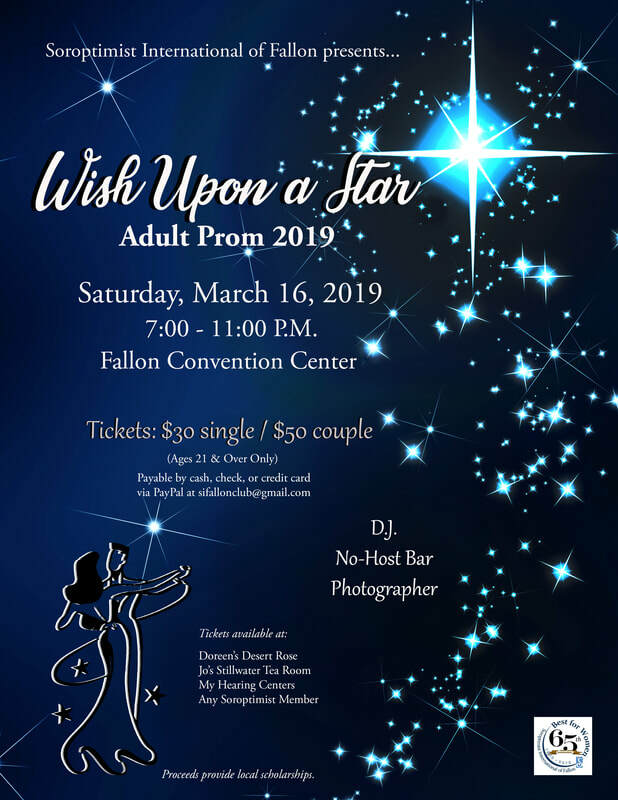 Coming back for our second year, "Wish Upon a Star" 2019 "Adult Prom” is a formal red carpet affair where you can experience your prom for the first time or all over again. Our elegantly decorated venue will feature music from all genres and decades. Those classic hits will be sure to get your feet moving and hips shaking as you take a trip down memory lane. Come dressed to impress so the "paparazzi" can capture all of your prom memories. Ages 21 & over only! Doors Open at 7:00 PM - Live DJ and no-host bar. There will be a photographer on site to capture your special night! Bring a friend, bring a date, or come alone and mix and mingle. "Prom Specials" offered by our local businesses. More to come! For more information email sifallonclub@gmail.com. For more information, contact the Adult Prom Committee Chair, Monica Fairbanks. ​Are you interested in being a vendor at this year's event? Just click the links below for ​a layout and vendor application. 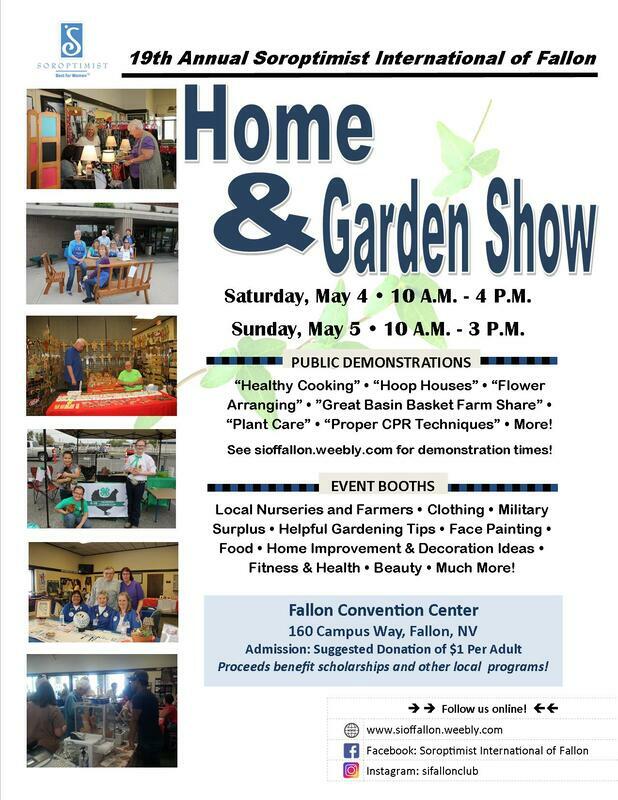 For more information, contact the Home & Garden Show Committee Chair, Marcia Vinson. Sean Walch - After the Marine Corps he earned multiple university degrees, including a Bachelor’s of Science from Central Washington University. Then he traveled to Reno, where he completed a medical internship and became Fully accredited as a Registered Dietitian. He currently works at the Veterans Affairs Hospital, where today he strives to better the lives of his fellow servicemen and women. Starting in weight management, he realized that until people learned to cook healthy, they couldn’t truly become healthy. He then became an American Culinary Federation Sous Chef-only one of a handful of RD’s to both. “Making the foods that are good for us taste good’ is a passion that drives him to spread the good word of cooking. Doreen Hill - Doreen has been in the floral business since she was 12 years old. She is a master floral designer who has owned Doreen’s Desert Rose Florist for 15 years. She is the longest-running owner of a flower shop in Fallon. Doreen is also involved with numerous community projects. Beth Riley - She is an EMT in the EMS (Emergency Medical Service) at Banner Churchill Community Hospital. Rick Lattin - He is the owner of Lattin Farms located in Fallon. His family has been in the farming business since 1909. He works to extend the growing season and to be more efficient in getting water to plants. He attains this through the use of hoop houses, drip systems and row covers. 2019 Home & Garden Show Raffle Prize! Buy tickets to win this awesome hand-constructed table and chairs set! $5 each or 5 for $20. 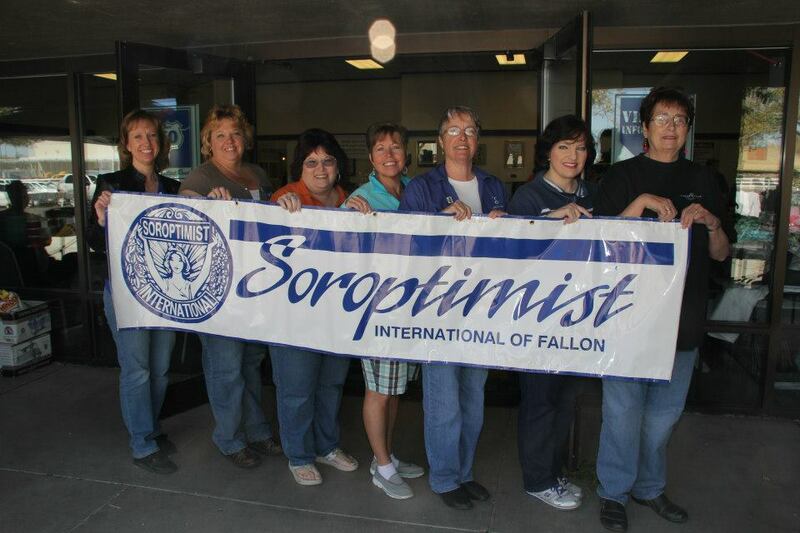 Buy tickets from a Soroptimist member or online via PayPal and your tickets will be sent to you! Click the button below to purchase them through PayPal. Buy raffle tickets via paypal here! 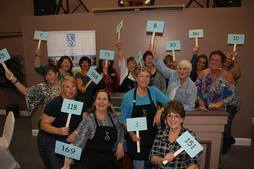 One of our biggest fundraisers of the year is our annual Quarter Auction. Each year we pick a new organization to support with the funds that we raise. The 2018 Quarter Auction, Sapphires and Success - Celebrating 65 Years of Service, was organized to raise funds for local programs and scholarships benefitting girls and women (see our Dream Programs). For more information, contact the Quarter Auction Committee Chair, Chancy Parsons.